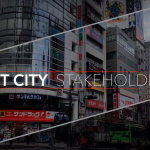 Smart City Innovation had been the goal of the CPaaS.io joint R&D project between Europe and Japan, which concluded in December 2018. 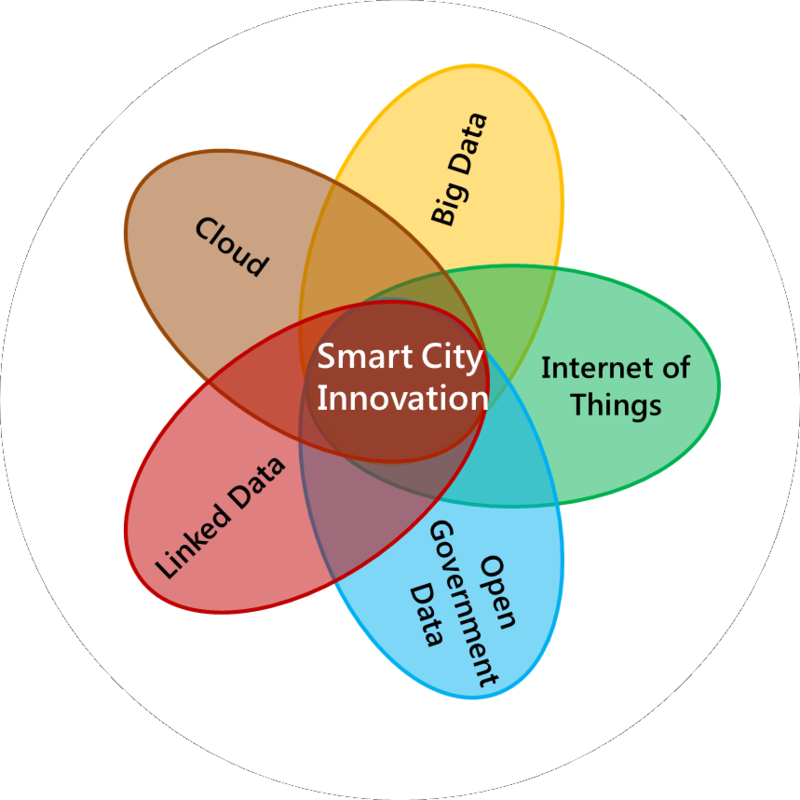 By combining the capabilities of the Internet of Things (IoT), big data analytics and cloud service provisioning with Open Government Data and Linked Data approaches, the project resulted in significant outcomes and toolboxes that create value for the society and all actors in the city environment – people, private enterprises, public administrations. Data has been termed to be the „oil of the 21st century“. Data will also be what the smart city of the future runs on. 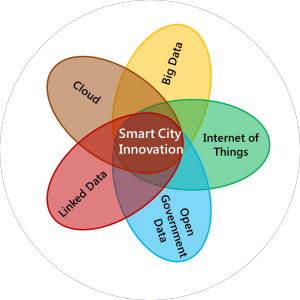 To make this a reality, cities need a platform where data from a variety of sources – IoT and sensor data, open government data, social media, and other 3rd party data providers – can be processed, linked, and analysed in order to extract valuable information that in turn can also be provided as linked open data, and with which new types of services are created and provisioned. 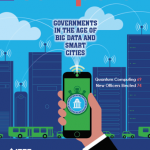 Both cities as well as private service providers can build novel applications and services on top of this platform; the platform thus becomes an economically valuable driver for Smart City Innovation. The main goal of this project is to develop such a City Platform as a Service (CPaaS) that can be federated to support regional or even global applications, and that forms the basis for a smart city data infrastructure. Technical challenges that need to be addressed include data provenance, data quality, adaptive privacy levels, policies and adaptive processes for distributing and deploying processing intelligence to the cloud or to the edge. Other important aspects include data governance, data management and the empowerment of the citizen to control access and sharing of data about her using a MyData approach. In addition to the development of the platform, several use cases in the domains of event and transport management, water management, and health emergency services will be implemented and validated with cities in Europe and Japan. Blue prints – both from a technical as well as from a process perspective – for these domains that can easily be transferred and adapted from one region to another will be developed. This will for example allow transferring the learnings from the Asian Winter Games 2017 to the Tokyo Olympics 2020. And finally, the results from the project are used to develop standardisation proposals in the related areas to ensure impact beyond the project. Open in the sense of Open Data, the platform is accessible to any interested party who then can build value-added applications and services on top of it. Open also in the sense of Open Innovation, additional data sources like sensors operated by private citizens, small start-up companies or established infrastructure providers can easily be integrated into the platform and the resulting data can be made available to all. The platform – operated by or on behalf of a city – thus forms the basis for an open digitized society, making the city more attractive for its citizens and new businesses, and also helping the city in streamlining and improving its own governmental processes and services. The project developed a common functional architecture consisting of several layers and all required functionality, and two instantiations using concrete technologies, one based on FIWARE and one based on u2. These instantiations are at Technology Readiness Level (TRL) 7, i.e., system prototypes have been demonstrated in the relevant operational environment. 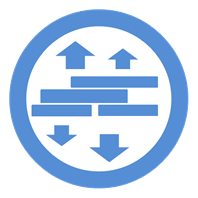 Users can access the platform instances and retrieve data via the respective platform APIs (e.g., NGSI, VLED General Open Data API, Omotenashi API), or also via semantic SPARQL queries. 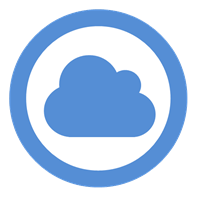 The objective is to develop a Cloud-based open platform for all city information offering multiple services and the capability for federation with other platform instances. 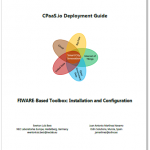 Flexibility and elasticity will be key principles in the design of the architecture in order to support the deployment in many different cities with differing requirements, both regarding use cases, services and operational aspects. The platform will also annotate such inherently unreliable IoT data with quality parameters, so that applications can decide if the data quality is good enough to be used. Federation between platform instances is possible via the respective APIs or via Linked Data approaches. To achieve flexibility, the project contributed significantly to the development of a new FIWARE Generic Enabler called FogFlow. FogFlow is an IoT edge computing framework that automatically orchestrates dynamic data processing flows over cloud and edges based on context. CPaaS.io influenced the ETSI ISG CIM standard and the NGSI-LD API which merges open linked data and the FIWARE NGSI API2. In addition, a data quality ontology has been defined to enable quality annotations. 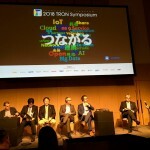 A platform with city information as targeted by CPaaS.io will also have data about its citizens – in particular with the envisioned linking of IoT data with Open Government Data. The platform must thus provide all necessary security mechanisms for the desired privacy and data protection properties to materialize. However, by simply restricting all access to such data, the potential benefits for the individual as well as for the society at large of using such data are lost. CPaaS.io is therefore taking a more progressive stance using a MyData approach: Let the citizen control who can access which personal data under what circumstances. 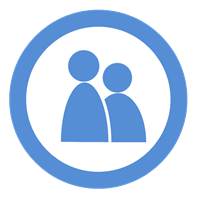 The MyData approach has been rigorously followed and instantiated in form of Personal Data Stores (PDS) that have been integrated and used in order to protect personal data and to give the user control over her data (cf. section 2.1.3). In particular, the PDS is a central piece for the Japanese Omotenashi hospitality solution, improving the tourism experience for overseas visitors (e.g., visitors to the Tokyo Olympics 2020). The platform will be deployed and validated by implementing several use cases that provide public value in cities, be it to the urban society as a whole, be it to individual citizens and city visitors, or be it to the city administration. Platform deployments and use case trials will be held in Amsterdam, Sapporo, Yokosuka and Tokyo. While for the validation of the use cases public value and acceptance are the top criteria, the CPaaS.io platform itself will be validated along several additional dimensions: its technical feasibility and performance, ease of deployment and operation, transferability and robustness, and economic benefits for the various stakeholders. Use cases have been implemented and piloted in four domains: Event management (Sapporo, Utrecht), water management (Amsterdam), public transportation, mobility & smart parking (Tokyo, Murcia) as well as emergency medical care (Yokosuka). The success of these implementations led to additional projects in other cities based on the CPaaS.io technology, i.e., in Heidelberg, Miura and Kochi. 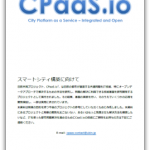 One of the main reasons for implementing CPaaS.io as a joint EU-Japan project is to demonstrate that concepts and use cases developed in one city can be transferred to other cities even when crossing cultural barriers and different ways in which city, regional and national governments are structured. The project will therefore develop blue prints to make such transfers easy, covering both technical and process aspects as well as the holistic approach to privacy and security across the value chain, independent of the city in which the applications are used and data is exploited. 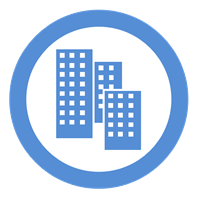 A template for Smart City application blue prints has been defined, consisting of various documents that help city developers both when initializing as well as when transferring Smart City applications. The cornerstones of the template are a Smart City Canvas to capture the essence of the use case and where public value is created, as well as an application one-pager, summarizing the different aspects that appear along the value chain. Creating impact beyond the partners of the project is in essence the ultimate goal. The project will therefore actively promote the results through its City Stakeholder Group. In addition, public administrations usually place a great importance on systems that conforms to standards, hence the project will emphasize de facto and de jure standardisation in the relevant areas like IoT, Linked Data, Smart City and e-Government. The partner cities have already been impacted by the project work and approach through the implementation of the relevant use cases, these will continue to be used and enhanced even after the project has ended, the cities have committed to this already. And other cities have started to implement solutions based on the CPaaS.io architecture. 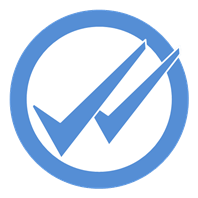 Furthermore, a number of standards have been influenced, in particular ETSI ISG CIM and the AIOTI WG3 Subworking Group regarding “Semantic Interoperability”. And finally, a Smart City Strategy Framework has been proposed that supports cities in their strategic work. 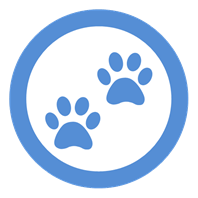 The project is jointly coordinated by the Bern University of Applied Sciences and the YRP Ubiquitous Networking Laboratory.